Chicago (March 12, 2018) – Chicago's Old Irving Park neighborhood is hosting its 5th annual Old Irving Park Beer & BBQ Challenge with 40 craft beer samples and 20 different BBQ dishes on Saturday, August 4 from 1 p.m. to 5 p.m. The fundraiser is located in the St. Viator Parking Lot at 3644 N. Kedvale Avenue. Since the first event in 2014, the organizers have raised over $110,000 benefiting student programs, facilities, and athletics at St. Viator School & Parish. Tickets start at $60 and are available at www.beerbbqchallenge.com. This year, the showdown features 20 pit master and local craft brewer teams who will present unique BBQ pork and beer pairings for attendees to sample and then vote for their favorites. Teams will also compete for votes from Celebrity Chef Judges Rob Levitt from The Butcher & Larder, Barry Sorkin of Smoque BBQ, Chef Kevin Corsello from Pork & Mindy’s, and Lisa Kelly from Bread & Wine. “As we prepare for the fifth annual OIP Beer & BBQ we’re amazed at the stack of really amazing brewers and Pitmasters we have participating. 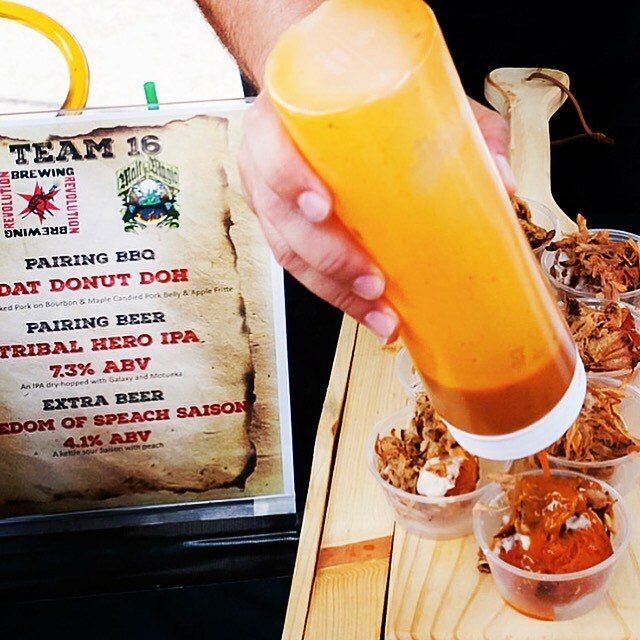 This event has grown into Chicago’s premier Beer and BBQ pairing event and it’s very exciting to be the platform where these culinary and brewing stars are able to shine and treat the festival attendees to something really special. This year’s lineup features 20 incredible teams including all the local brewing powerhouses, including the recently opened Eris Brewery & Cider House.” said John Neurauter, Old Irving Park Beer & BBQ Challenge Co-Founder and Haymarket Pub & Brewery, Haymarket Brewery & Taproom Co-Owner. Attendees and judges will cast their votes, rating each team on Best BBQ Pork, Best Beer, and Best BBQ and Beer Pairing. Both General Admission and VIP tickets are good for event entry (VIP is one hour early) plus one (1) BBQ sample from each of the 20 teams, one (1) beer pairings from each, one (1) additional beer offering, and a commemorative glass. General Admission ticket holders ($60 advance purchase; $70 at the door) have an event entry of 1 p.m., while VIP ticket holders ($90 advance purchase; $100 at the door) have an event entry of 12 p.m. and are also the first to try the beer and BBQ, as well as meeting the celebrity judges.